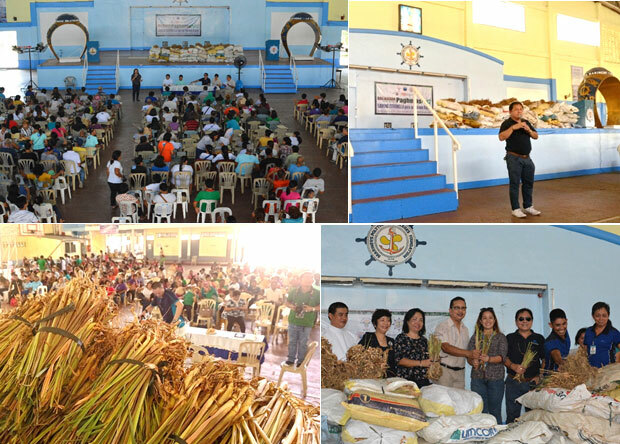 On May 29, 2018, a whopping 300,000 citronella clumps were distributed to farmers, organizations, and other agencies at the Mariners’ Polytechnic Colleges Foundation (MPCF) in Canaman, Camarines Sur. The mass distribution was organized by the Department of Agriculture (DA), Tabang Bikol Movement (TBM), and MPCF in collaboration with the local government of Canaman and People’s Organization of Disaster Survivors (PODIS). Citronella grass plant is native to the tropical areas of Asia. Some farmers grow citronella grass and other agronomic crops as possible livelihood for Conservation Farming Communities (CFCs) through manufacturing of soap, scented candles, and essential oils. CITRONELLA MASS DISTRIBUTION. The MNWD as one of the recipients of the citronella clumps during the mass distribution conducted at Mariners Canaman last May 29, 2018.